You must make reservations at least 5 minutes in advance of the time at Hy's Steak House - Waikiki. Brunch available on select holidays. Please inquire within. Go to Hyswaikiki.com to view our upcoming Fall Brunch Menu, October 28, 2018. Complimentary valet service only. No self-parking. Please let us know if special accommodations such as wheelchair access is required. Audy Kimura plays Tuesday through Saturday from 7:00 pm thru 10:00 pm in the library lounge. Audy is a well-known and highly respected guitar player/vocalist in Hawaii. Sunday and Monday evenings, enjoy the acoustic guitar offerings of Vernon Sakata. 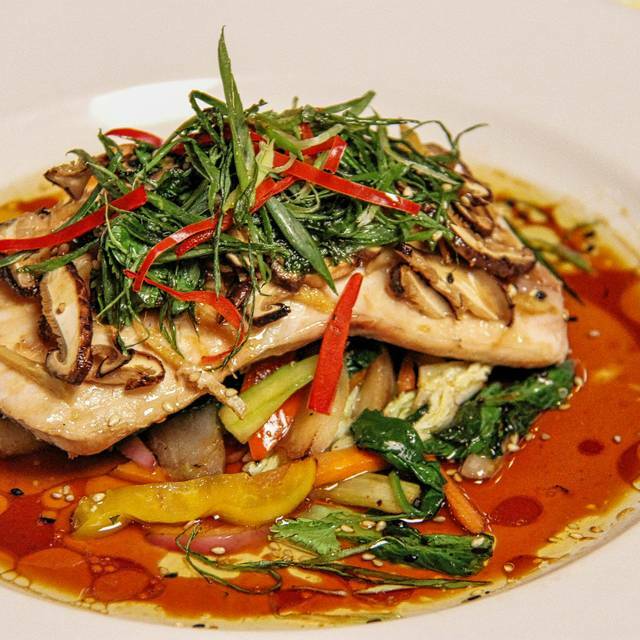 Hy's Steak House is an award winning restaurant in the heart of Waikiki. Open in 1976, Hy's has been a favorite of locals & visitors for 40 years. 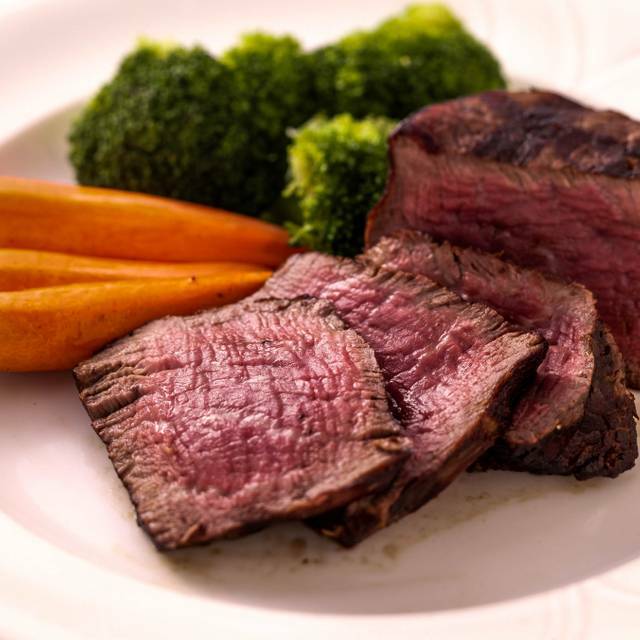 Hy’s proudly serves 100% All Natural “Never-Ever” USDA Prime beef, the finest quality beef on the market. 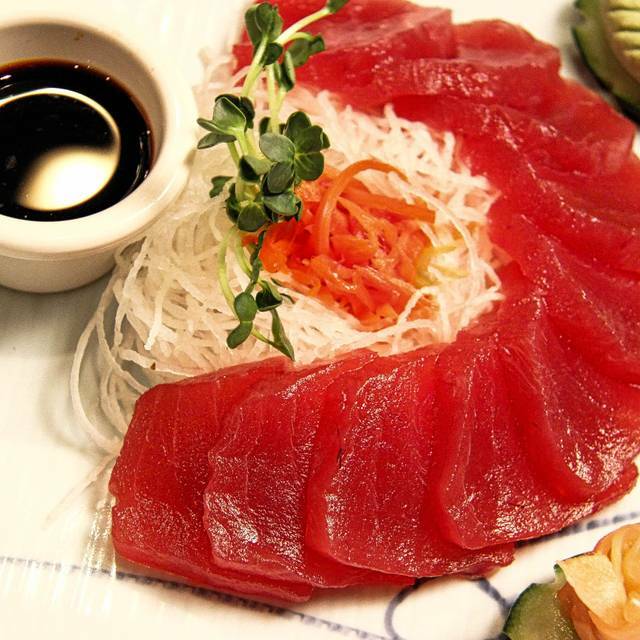 We believe our process retains the tenderness & taste of the meat while reducing the fat content appreciably. Hy’s uses native Hawaiian Kiawe wood as it cooks with a more intense even heat & complements the flavor of fine beef. Hy's boasts an exquisite wine list with an emphasis on reds from the most reputable vineyards from around the world. The ambiance is Old-World, classic &very comfortable. Hy's Steakhouse enforces a strict dress code policy. Gentlemen are required to wear Collared Shirts and Covered Shoes. We kindly ask that all our guests refrain from wearing swimwear and baseball caps. Complimentary valet service available. Server was not attentive, other wait staff needed to assist us with almost all aspects of our meal. Worst experience we’ve had and we’ve been coming here for years. Was not offered celebration dessert or a dinner photo. Will not be returning anytime soon. Food and service were great as always. However it took longer than expected to get main entrees after we were served our salads. We waited about 25mins to get our petite filets for a party of only 4 people. The steaks were cooked to perfection and tasted awesome. Just wished we didn’t have to wait to see them though. Will this deter us from coming back? Nope, we plan to come back later on this year to celebrate another occasion. Absolutely stunning environment. Quite possibly the best meal I have ever had. 10/10. Will always come back to this restaurant Everytime I come to the island. It was great dinner and excellent hospitality!! The best restaurant in Waikiki!! Consistently very high quality with outstanding service from the entire staff. My wife and I were celebrating our 30th anniversary, and they went out of their way to provide us with an excellent table, a complimentary cheesecake dessert, and a photo of the two of us. And as expected, food was delicious. Overall experience was exemplary. I highly recommend Hy's. Anniversary dinner on vacation. I first dined here in 2006 and since then it has become a mandatory stop on my returns. Exquisite tasting meat with the kiawe char. Flambes are wonderfully prepared and taste amazing. Highly recommend the surf and turf with King crab legs. The food, atmosphere, and service were superb. What an experience! The meal was phenomenal. It is so rare to find an elegant restaurant like Hy’s that still knows how to provide service that is attentive yet almost unnoticed. We were just a few days shy of our anniversary and the food was amazing and the staff was so thoughtful and the night very special for us. The entrance was not easy to differentiate between the next drive way. A visible sign from the roadway would be appreciated. The parking lot guy for the next building was very nice. He must see Hy’s patron a lot. We celebrated our 18th wedding anniversary. The parking lot people were very friendly, nicely dressed. I felt like my car would be well cared for. The hostess was so cute, friendly and efficient. Our service team was awesome! Josh, Stephanie and Rutger made us feel welcomed and appreciated. The ambiance was very comfortable. A light over a picture in the back area of the bar was out. I noticed this because equipment or things not working is poor energy. A mirror had some smudges way on top. I noticed this because when I was a kid, my mother expected perfection. The refrigerator’s back in the day had to be polished, everything had to be sparkling and smudge free. The food was perfection!! The fish appetizer was generously cut. The filet mignon was absolutely gorgeous on the inside, so perfect and season just right, not to salty. The scallops were sweet and tasty. The baked potato was moist and not dry. The table side cherries jubilee service topped off the night. The Champaign with cassis was so delightful. And we got to take home a souvenir, a nice picture. It’s nice that Hy’s provide parking and pictures without haggling the guest. This was a very honest review. I hope I was not to harsh. I felt that my time and energy to write this would be appreciated because I would like to come back. I would recommend this steak house. You don’t have to dress fancy even though there is a dress code. There were people there in jeans. The service was great, we were celebrating so we got a complementary dessert and photo which was sweet. The non alcoholic drinks were not very good, well to me, to each their own. The portions weren’t small but were not as large as I had hoped for, I was not full after my dinner. The dessert was not good, I got the cheesecake. I’m sure the flambé which they’re known for would have been much better. I didn’t like the cheese bread either. The restaurant environment and service were great! I’m just not personally a fan of the food. But I’m a picky eater. Also there was complimentary valet. Thank you. Just setting next to a group with a loud talking lady. Nothing you could have done but it did take away from our experience with you. Amazing stuff, very nice service, excellent food. We'll defenitly come back again. Thank you! 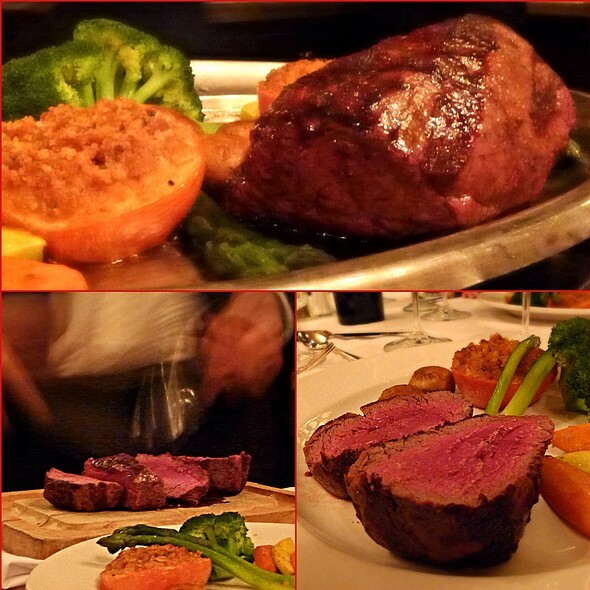 Hy's is very much a traditional steak house from years gone by. 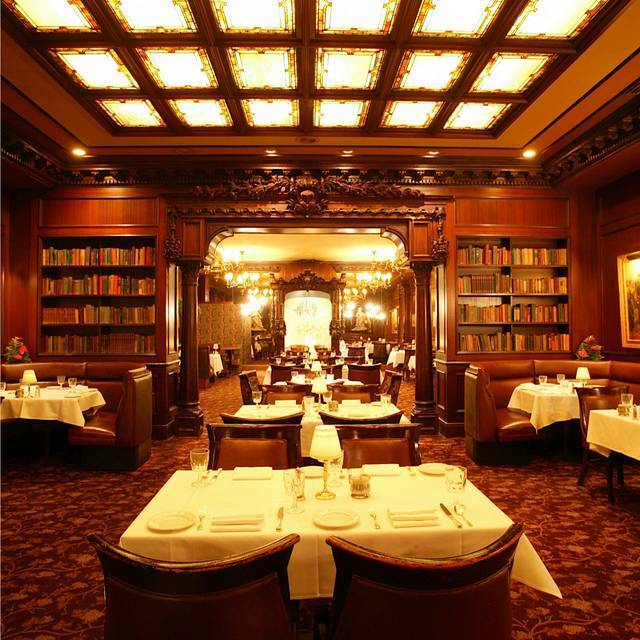 The atmosphere is much like an English gentleman's club, with panelled walls, paintings, mirrors, and chandeliers. 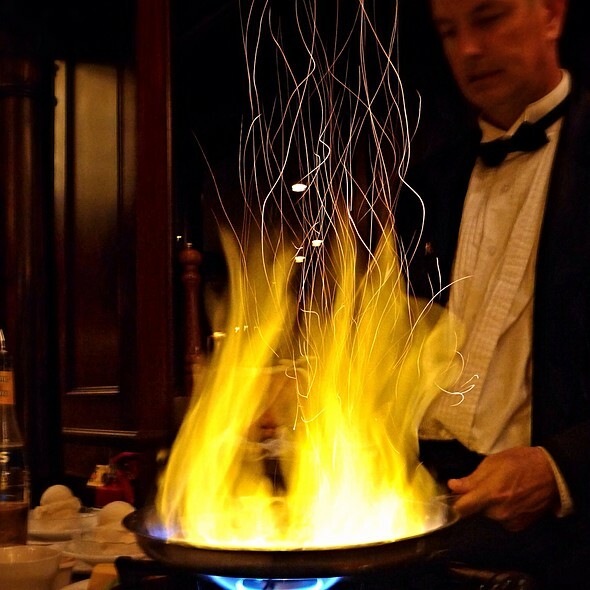 Service is by a crack team; watching them prepare a flambéed dessert is fascinating (lots of videos made at the tables). I began with the colossal prawns, which really were just that; my companion had the excellent scallops. 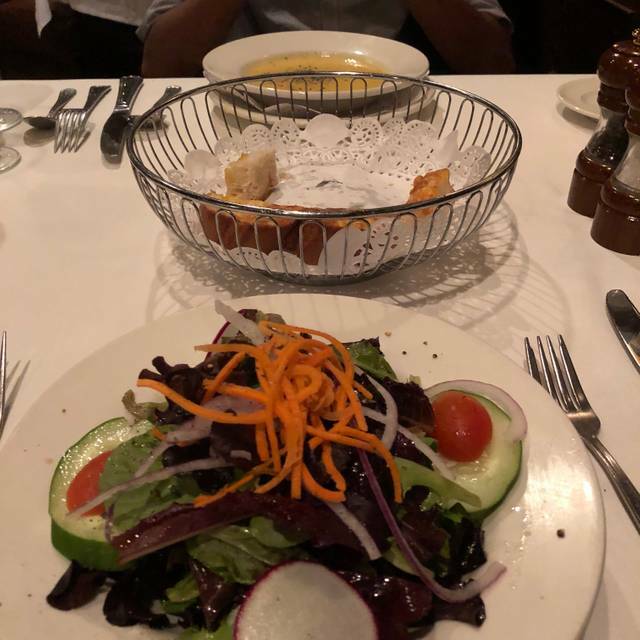 We both had the garlic filet mignons (I would have preferred a top sirloin for flavor, but it was not available); I though mine t a bit under seasoned, but my companion liked his quite a lot. We both enjoyed the excellent mashed potatoes and green vegetables. My mocktail was delicious--no need for alcohol with those fruit flavors--and my companion enjoyed his white and red glasses of wine. Throughout the meal a fine acoustic guitarist played softly. Great food! We enjoyed our anniversary dinner all the way from Colorado!! Hy’s is our favorite steakhouse in Hawaii! The service is top notch and the food is excellent. If you want the best steak in town there is no other place to go. Great ambiance. Wonderful service. 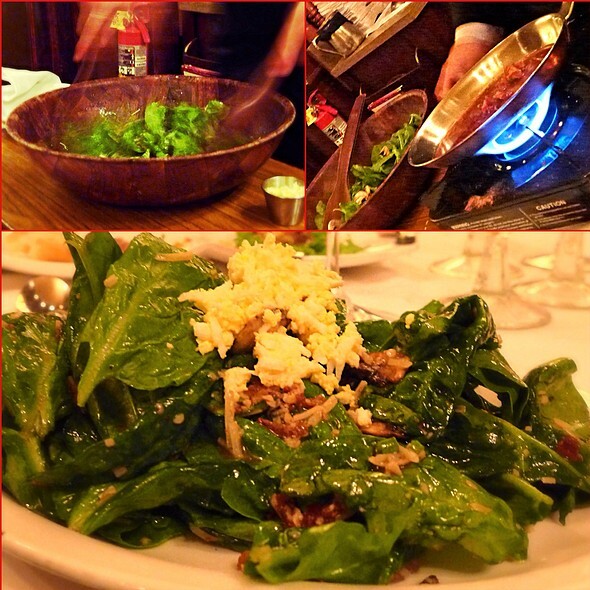 The originals Caesar salad and flambé at the table were great. Crab & Mac unique and enjoyable. The NY strip was average. The garlic sauce helped give some taste to average piece of meat. Better steak restaurants in town. Thought we would return to this old favorite. If I go back probably order seafood. The live music was outstanding also. Beautiful restaurant in the heart of Waikiki. Service was impeccable. Easy to get to, charming wait staff. But the service was truly excellent. We haven't been to Hy's in a while, but they are consist with their service and food! Stuart was a fabulous host! The food was excellent and I can’t wait to go back! The food was good and the staff was extremely friendly. They kept our glasses filled. Our reservation was for 7:30PM and we didn’t get our main corse until after 9:00PM. The food took too long to come out. It was hot when it made its way to our table however, the wait time was unacceptable. I will not return nor recommend. Not that great. I remembered they really used to be good in early 2000s. Dined for a double birthday celebration with Visitors from the mainland. When we arrived we were told our reservations were canceled when in fact I had called five hours prior and canceled and rescheduled.We were seated in a small booth that fit four people uncomfortably. The waitress spilled water as she refilled the celebrants cup almost getting Water on his phone. The seafood was good however everyone else that ordered steaks were mediocre and not worth the price that we paid. It did not taste any different from the steak we would grill at home from FoodlAnd Which was way cheaper. I would not come here again and spend this much money. We were very disappointed. Wonderful night and delicious food! Another awesome dining experience at Hy's Steak House. The meal did not disappoint and the service, ambiance, and other aspects of the restaurant was great!! The food was excellent as usual. The wait staff always adds to the overall enjoyable experience. We had a really efficient, friendly and knowledeable waitress. Can't remember her name. The receipt says Brett. However, everyone was great. If you are going to one expensive restaurant in Honolulu, this should be it! My husband loved his steak and my scallops were lovely. The roasted broccolini was the best we have ever had. Great service, nice wine list and don't miss the chocolate/passoin fruit cake. I've been going there for years. 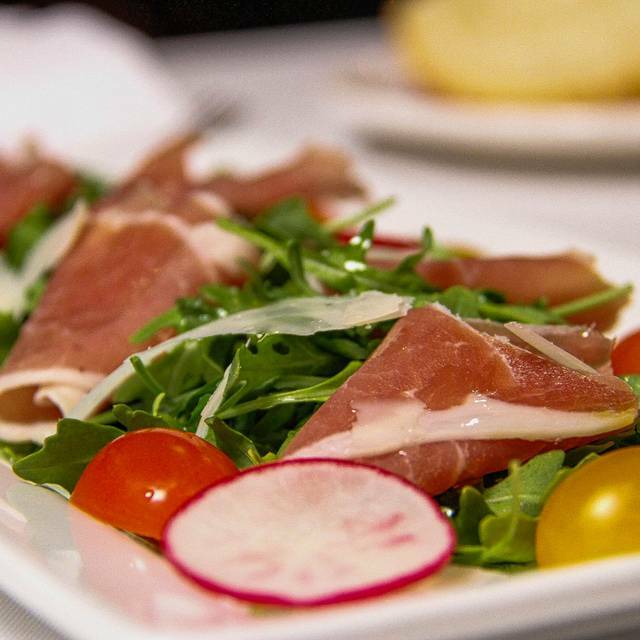 Looking for a first class restaurant that has great service and great food? This is the place to go!